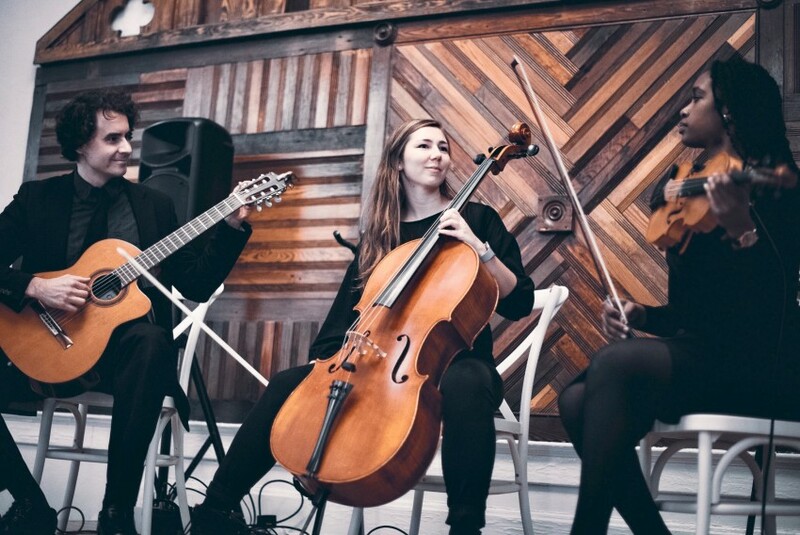 Whether you're looking for heartwarming strings to sweep you down the aisle, upbeat guitar for rejoicing over cocktails, or discreet, soothing ambiance to serenade your dinner guests, Justin Lacy can provide the perfect music for your event. 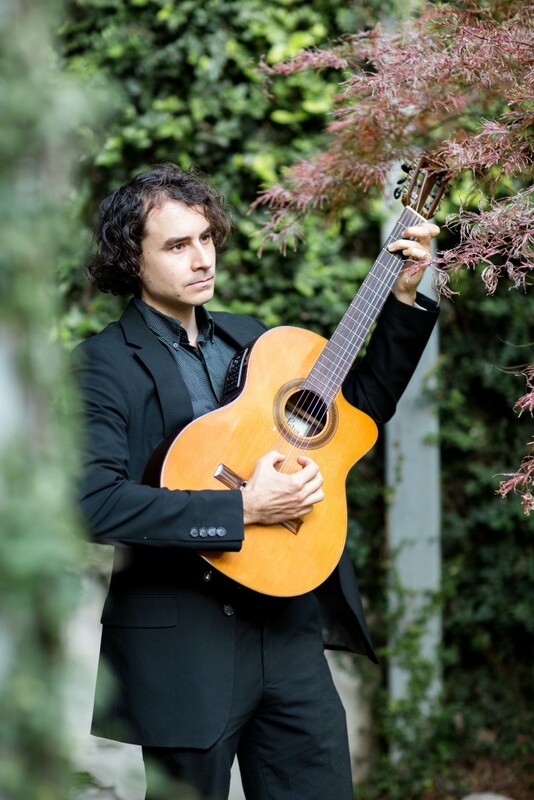 Justin Lacy plays instrumental arrangements of pop, jazz and classical standards on solo guitar, ukulele, or with the Arbor String Trio (guitar, violin and cello). Justin performs regularly at receptions, wedding ceremonies, bars and restaurants throughout North and South Carolina. We utilized Justin to play acoustic guitar for our company holiday dinner in a private room at Manna Restaurant in Wilmington. Justin played for a full 3 hours and sounded fantastic; it was perfect to hear the background music while we enjoyed our holiday dinner. This is the 2nd time I've used Justin and he's just great to work with. Justin was wonderful for our prelude and ceremony. He has a wide variety of songs in his repertoire that can please any crowd. Great at communicating before the big day to ensure he played exactly what we wanted. Awesome! Easy to work with. Justin was great. He did the ceremony music for our wedding and learned 2 songs we requested. Was super responsive and we got many compliments on his music! Would definitely recommend. Justin played Wedding music for our daughters ceremony. We hired Justin to play the ukulele at our wedding ceremony at Airlie Gardens. Justin was fantastic! He was great to work with and came to the ceremony professionally dressed. He played "Here comes the Bride" and "What a Wonderful World"; we couldn't have been happier! Lovely music as dinner guests ate and visited. Highly recommend Justin. thumbs up from all guests! I can't say enough great things about Justin. He was so great before the event, communicating quickly and answering questions. The day of the wedding, everything was crazy. He showed up, found our set up on the beach, and got himself situated and ready to go without any assistance. The music was beautiful and the guests complimented how well it went with the beach setting. If the need ever arises again, we will be using Justin! Justin played guitar and ukulele at cocktail hour for my wedding this past weekend. It was a surprise for my husband, but everyone loved it! Justin is super talented and so easy to book. He was punctual, cordial, and smiled the whole time! Justin was easy to work with, didn't require hardly any instruction, and showed up on time! Not only did he make take it upon himself to set up, etc. without any instruction, but the music was BEAUTIFUL! I, as the bride, was too caught up to really pay attention, but I had SEVERAL people tell me how lovely the guitarist music was at our beach ceremony. We even requested a special song, that Justin so willingly learned for us! Thank you, Justin, for making our day so special. Justin Lacy is the whole package; Talent, good musician look, wonderful personality and a true gentleman. Starting from the latter, Justin’s Southern manners come from a solid North Carolina upbringing with heavy influence from his fine parents, Ken and Susan. He is simply a good man. His easy smile and sense of humor lighten the room and invite ready attention to his performance. Justin’s unique “musician’s” bearing is a product of self-creation noteworthy both as living proof of his creativity and an attention magnet to those who enjoy the performing arts. Finally, Justin Lacy is talented. Self-taught guitarist and a God-given voice combine to spellbind all with ears with rich, complex and unique musical experience. Like a good wine, Justin gets better with time and I would judge he is near his peak. I invite all to taste of Justin Lacy’s music, it is truly like a fine wine. Great musician for our wedding day! We booked Justin for our outdoor mountain wedding and I would HIGHLY recommend him if you are looking for great music to set the tone of your wedding. Justin's music style fit perfectly with our rustic-themed wedding. He has an amazing voice and guitar skills and adds a unique touch to all the music he plays. The only regret I have is having a DJ for the latter half of the wedding...I wish we had booked Justin for the whole time! We received so many compliments on Justin's music after the wedding. Everyone loved him and his music!!! Thank you Justin for performing at our wedding. The day was amazing and your talent made it even more special. Everyone commented on how beautifully you played. Your ability to transform a moment was beyond words. I still remember walking down the aisle nervous as heck, but as soon as I listened to your music, I forgot my nerves and felt at ease. I couldn't have asked for a better song and interpretation. You are talented beyond words. Thank you again for making a beautiful day, that much more magical. Justin is an incredibly talented and kind individual. I was so excited when I found out he was willing to play at our wedding ceremony. We gave him a few of our favorite songs and he was able to transform them into beautifully elegant pieces. He was accompanied by a violin and a cello which gave the music a beautiful dimension. He even switched up the timing of one of the songs after coming to the rehearsal to time it right. We received so many compliments on the music and it was definitely a highlight of the wedding. He was flexible, prompt and professional making him one of the easiest vendors we worked with. Justin is a no brainer if you want to add an elegant touch to your wedding! Justin Lacy's performance at our wedding was better than we could have imagined. He beautifully and expertly played what we asked for and more, going out of his way to arrange each song to match the tone of our ceremony. We received numerous compliments on his behalf. The memories we created will be forever amplified because of Justin's incredible talent and attention to detail. Justin Lacy was a joy to have at our ceremony. He is very pleasant and polite and he is wonderful at what he does. He played a ukulele at our ceremony, which was held on the beach, and it gave it a special carribean/luau touch! All of our wedding guests loved having him play there, as did we. He even chased down our marriage license when the wind jerked it away! Going with Justin to play your wedding is definitely the right choice, he was wonderful! 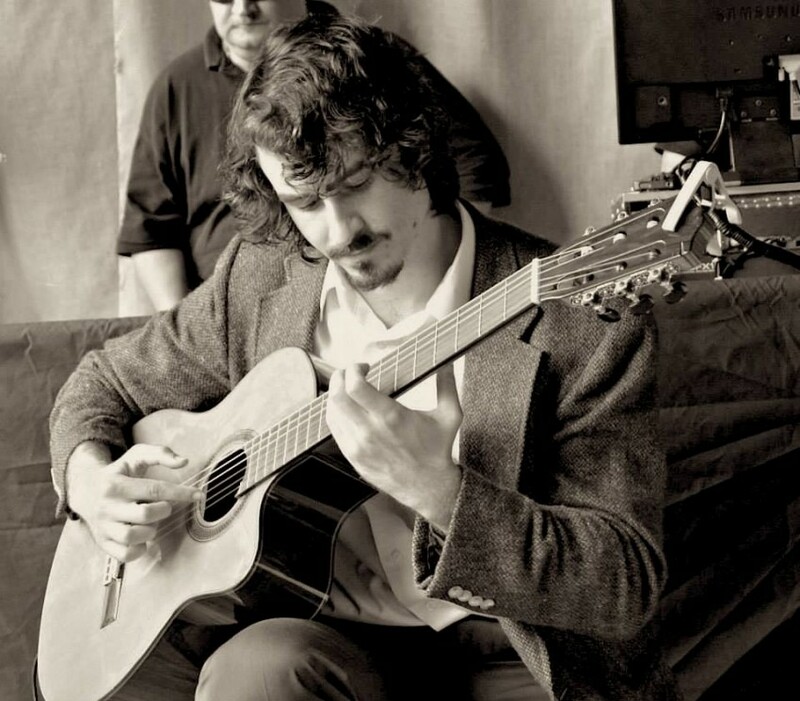 Justin Lacy has been composing, teaching and performing music in and around Wilmington, NC since 2007, when he enrolled at the University of North Carolina Wilmington to study jazz guitar. Lacy graduated with a BA in Music and English in 2011. In 2012, he released his debut full-length album, “Overgrown,” a collection of original songs performed by the Swimming Machine, a nine-piece band utilizing horns, strings, big drums and layered vocals to bring orchestral elements and a hip-hop sensibility to Lacy’s songwriting. In 2014, Lacy completed his first film score for "Anhedonia," an 18-minute short film starring Traci Dinwiddie (The Notebook, Mr. Brooks). 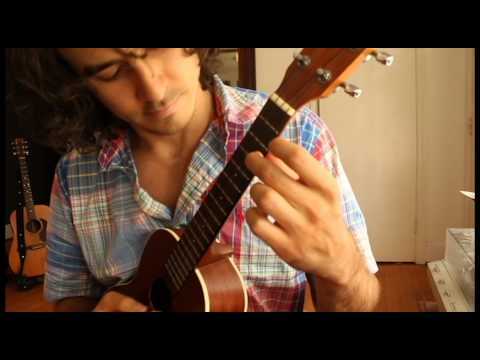 In addition to performing frequently at weddings and events as a solo guitarist/ukulele player, Lacy performs in several ensembles, including Daisy, a swing band specializing in jazz standards from the '20s - '40s. Lacy is also a dedicated music teacher, offering guitar and ukulele lessons in Wilmington, Porter's Neck and Hampstead. Lacy is currently in the midst of writing his second full-length studio album. I often make new arrangements for the processional and recessional pieces, and am more than happy to do so!